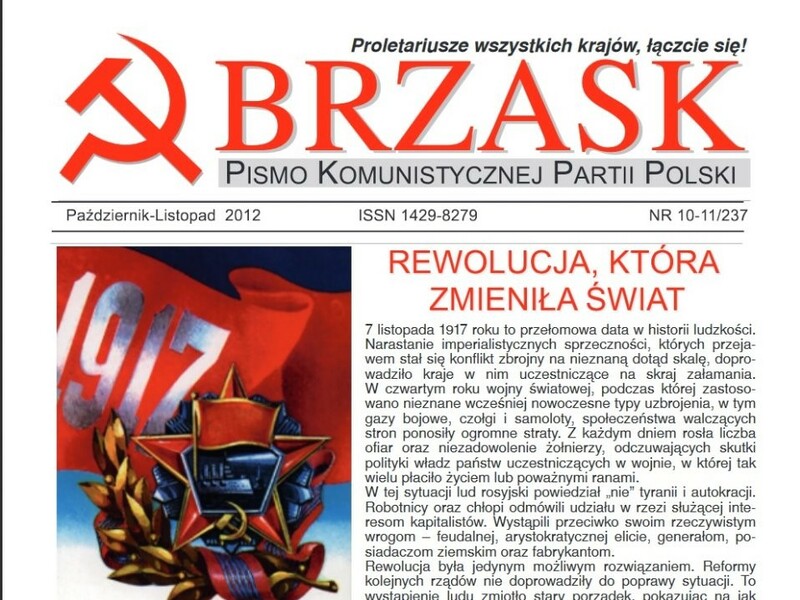 On January 18, the regional court in Dąbrowa Górnicza acquitted the members of the editorial board of Brzask magazine and the website of the Communist Party of Poland (KPP) of charges of "promoting totalitarian system”. The trial was launched three years ago, following the Law and Justice Party's (PiS) ascension to power, with the ultimate aim of outlawing the KPP. The acquittal decision informs that the accusation was too general and fragmentary and asserts that the promotion of communism does not equate promotion of a totalitarian system. In its statement released following the verdict, the KPP defined the prosecution as an element of the anti-communist campaign launched by state authorities aimed at illegalizing the Party. It is declared that a 30-year-long attempt by the authorities to liquidate achievements of the Peoples' Poland and remove from social memory remembrance about everything associated with communism, has intensified in last three years. The statement ends as follows: "This verdict is a big success of our party, but by no means the end of our struggle. We must be ready to repel the next attacks. Communist Party of Poland thanks all comrades and parties that showed their solidarity with our party and contributed to the fight against repressions."